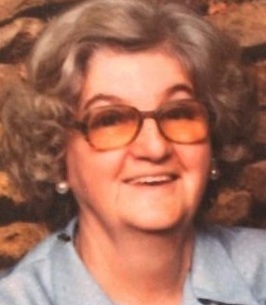 Gladys M. (Zimmerman) Golden, 93, of Mooresville, went to be with the Lord on September 4, 2018. She was born to Charlie and Hester (Sanders) Zimmerman on August 17, 1925 in Alicia, AR. She married Stacia J.W. Golden on February 23, 1946. Gladys is survived by seven loving children, Stacia (Barbara) Golden Jr. of Mooresville, Sharon (Ron) Hazelrigg of FL, Eddie Golden of Indianapolis, Karen Sue (Jeff) Hurst of Plainfield, Jean Darnell of TN, Lacey Golden of Monrovia and David (Barbara) Golden of OH; 15 grandchildren; 14 great-grandchildren; and five great-great-grandchildren. She is preceded in death by her parents, husband; eight siblings, Gaither, Dave, Alic, Fate, Paul, and Orville Zimmerman, Lillian and Elizabeth Simmons. Gladys was a homemaker who enjoyed gardening, cooking and spending time with her grandchildren. She especially loved reading her bible. She lived in Mooresville for most of her life. The family will celebrate Gladys with a private family service. She will be laid to rest at Forest Lawn Memory Gardens in Greenwood. 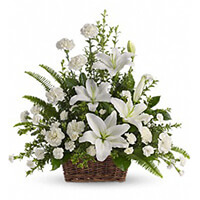 To send flowers to the family of Gladys M. Golden (Zimmerman), please visit our Heartfelt Sympathies Store. We are sad to hear of your mother's passing. The news brought back many memories from our youth at Mooresville High. Prayers for the family. Sorry to hear about the passing of Gladys. Are thoughts and prayers are with the family. Mike said he has fond memories of Gladys while growing up. So sorry to hear of Gladys’ passing. My thoughts and prayers are with all of you. She was a very sweet and kind person. So glad we got to be neighbors. Hello to the family, sorry for the loss of your mom, she was a nice lady. I only have good memories of Mrs Golden growing up on Hadley Rd. She was always such a kind and gentle woman. I remember she was a little shy but she always had a smile for you. My thoughts are with all of you at this sad time.